The Georgina Campbell Awards – Ireland’s Original Hospitality Awards! 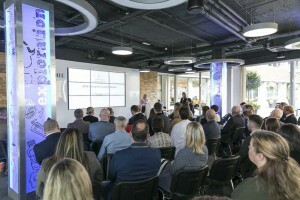 From five star hotels to food trucks, representatives of the very best in Irish hospitality gathered at Bord Bia’s Thinking House in Dublin on 3rd October, for the announcement of the 2018 Georgina Campbell Awards. An annual celebration of excellence associated with the respected Georgina Campbell’s Ireland independent hospitality guides, and Ireland’s most popular independent hospitality and travel website www.ireland-guide.com, these are Ireland’s longest-running food and hospitality awards, and highly respected by the industry. Every year Georgina Campbell and her team of experienced assessors comb the country’s hotels, country houses, guesthouses, restaurants, pubs, cafés and speciality food shops seeking out the best food and hospitality experiences for readers of The Guide (‘the glovebox bible’) and followers of the very successful website, www.ireland-guide.com. 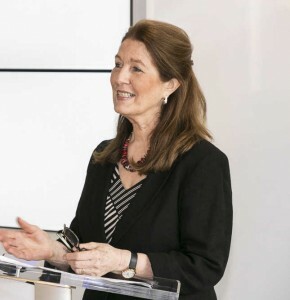 Speaking about the ongoing search for excellence, Ms Campbell said, “Through our programme of anonymous assessment we’re always keeping a sharp eye out for those exceptional establishments which are right on top of their game and going the extra mile for customers. 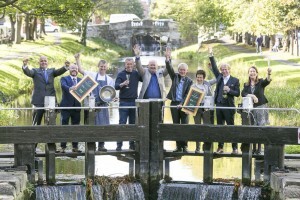 Once again this year, we have found plenty of new ones worthy of recommendation, especially in urban areas, and it is always exciting to see newcomers to the hospitality industry who understand the importance of standards and want visitors – domestic and from abroad – to enjoy Irish food and hospitality at its best. What we seek is not perfection but real food and hospitality with real heart, and we’re continuing to find it in clusters of excellence all over the country. James & Beryl Kearney and Gary O’Hanlon, Viewmount House, Longford, Co Longford (Georgina Campbell ‘Hospitality Hero’ Award, in recognition of a special contribution to Irish food & hospitality); The Twelve Hotel Barna, Co Galway (Hotel of the Year); Dax Restaurant, Dublin (Restaurant of the Year); David McCann, Dromoland Castle, Co Clare (Chef of the Year), and Bar One, Castlebar, Co Mayo (Pub of the Year). Ireland’s longest-running hospitality accolades, the Georgina Campbell Awards are completely independent. Unlike most other award schemes, they are not commercially driven and are in no way affiliated with trade associations or marketing groups; there is no charge to establishments for recommendation or any element of the awards process. It is this independence which has earned them special respect in the industry, and public trust. Accolades from a respected independent guide are not only a source of encouragement – and very good for winners’ business – but also set a benchmark for others in the industry who are determined to achieve a similar level of excellence. Georgina Campbell Guides are grateful to Bord Bia, sponsors of the “Just Ask!” Restaurant of the Year Award, who kindly hosted the event.